Announcing our Thanksgiving writing contest. Entries may include, short stories about the first Thanksgiving, present day thanksgiving, essays on what you are thankful for in your own life, and topic related poems. There will be 6 prizes given out for the best written pieces. Stories can be fiction or nonfiction. Deadline is November 16th (Friday). Good luck! Vote by picking the number of your favorite story. You may vote for up to 3 stories. Story # 1 Some of the things I am Thankful for. I am thankful for my mother and sister, they treat me with a lot of care. I am also thankful for my mothers friend Elba. Elba gives me love when ever I see her. In my family on Thanksgiving my mom invites family friends and her girlfriends. On Thanks giving we have a speical meal. My mom makes lots of food. She makes some puerto rican foods, like rice and beans, and a special puerto-rican chicken dish. For desert she likes to make pumpkin pie and sweet potato pie. In my family before we eat our food we pray to god and we hold hands. When we are finished praying it is time to eat. Now we all talk and joke and have a good time at the table. We have a lot of fun. I love my family, my mom, my dad and my sister more than anything in the world, and Elba is very important t me too. One cold morning a boy went to North Carolina with his parents. They drove for along time. The next day the boy went to play with his cousins he said “hi” to his aunts and uncles. The next day it was Thanksgiving. Everyboyd was celebrating, there was turkey, macaroni and cheese, chicken , orea cake, and rice. The parents were talking about the next family reunion. The kids were in the house talking about the next big family reunion. They were playing video games that night having lots of fun. When the boy went to sleep that night he had a dream about the best thanksgiving ever. In the morning he went out and played tag with his cousins. Then it was time for the boy and his family to go home. He did not want to go home so he started to cry. When he went home he was happy. He remembered the good time they had. He went out and played with his friends. On one Thanksgiving Steven asked his dad if they can get a turkey for Thanksgiving. “Of course we can” said Mr. Evens. They both went to the store and got a big fat turkey. That night when Steven went to bed he heard a noise. He woke up and got a flash light. He opened his door, and sneaked to a wall. He took a deep breath and turned around, and flashed the flash light. It was pointing at the kitchen and the kitchen was a mess. Steven said” Who could have done this”? His dad came out of nowhere with a sword and jumped as high as he could. His dad jumped on the turkey’s head and sliced it off. The next day Steven and his dad layed out a huge thanksgivng table. They layed the giant turkey on the table . They got two chairs, sat on them, prayed to god and cut up the giant turkey and ate it all up. on this day everyone is loving! On this day I am thankful for god. and most important he gave me life! Last Thanksgiving my family had a feast at my grandmother’s house. We always eat turkey, pasta and cranberry sauce on Thanks giving. The adults drink coffee and we eat a special cake with raspberries inside for desert. After we are done with all the eating we all watch T.V. I am always done first. We watch cartoons. My family, my cousins and myself love to watch Tom and Jerry. One time at Thanksgiving all my cousins came to my grandmothers house. One of my cousins had brought their Nintendo DS. We had so much fun. I am thankful for having parents that care for me and that love me. I am thankful for having teachers because when I am having a bad day they are there to help me with my problems. I sometimes feel bad for kids that are in other places that cannot afford food, or to have a turkey for Thanksgiving, I feel bad for kids that do not have a family to come and sit on this holiday around a table to talk and eat. One thing I think is very sad is kids that are in foster homes. Because sometimes the adults don’t care for them the way a dad or mom does. Some foster homes are just in it for the money. That is why every month myself and my mother send money to help these kids. One day my whole family, and our close family friends got together to celebrate Thanksgiving. There are over 100 of us and we get together and cook in West Brighton. I love it when everyone comes together. It makes me happy when everyone else is happy. We have a big feast and all of my cousins play football, basketball and wrestle. Sometimes we play lazer tag. This year Thanksgiving will be a great day. In the Plymouth colony the Indians attacked the Pilgrims. So they could take their land over. The pilgrims had taken some of the Indians land. Now the Indians need more space so they attacked them. Eventually they stopped fighting and had a feast of turkey and food. On Thanksgiving my mom cooks all kinds of food. She makes macoroni, and collard greens. Myself and my cousins eat a lot of food. When the meal is done we all play football and basketball. When it gets dark we come inside and play video games, PSP, gameboy and Nintendo. We sometimes play fight in the house and when we get tired we watch T.V. My sister always plays with my little cousin. We have a great Thanksgiving. I am thankful for my grandma because she makes cookies for me and my cousin. Sometimes me and my cousin share, he gets 8 cookies and I get 8 cookies. Grandma gives us milk with them. I am thankful for my uncle too. Sometimes he takes meo to the store so I can buy a sour blast and bags of chips. I buy 11 bags one for me, my mom and all my cousins, and all my sisiters. I give them a bag of chips and a kiss on the cheek.They all love chips. I am thankful for other things like when the turkey comes out of the oven. Then my whole family prays over the turkey. These are some of the things I am thankful for. When Thanksgiving comes up me and my brothers, cousins all go to my Auntie’s house. We leave New York and come back in a few days. We are going to have mad fun. My Mom is cooking and my Aunt is too. Some people only think thanksgiving is about the food like turkey, potatoes, cranberry sauce, chicken and ribs Thanksgiving is about thanks and the wonderful things that happen every day. Thanksgiving is why I love November. November was a special month for the Pilgrims. Eary in the 1600’s They lived a different life than us. The children used to play a game called blindman’s bluff. They did not eat like we do. It was different. They used to eat fish, duck, cabbage, onions, squash and seafood. We eat turkey, cranberry sauce, potatoes, gravy, ribs and chicken. The Pilgrims came to Massuchesetts. The Pilgrims planned to go to Virginia. The only reason they went to Massachusetts was because of bad weather. When they came to America. They saw the Indians and the Indians helped them. Every Thanksgiving, I eat turkey and potato and chicken and greens. On Thanksgiving, I get all types of clothes, new shoes and presents. I went over to my aunt’s house for a sleep over. I had a lot of fun. We had a Thanksgiving party in the basement. We had little turkey bags at the end. We also went to the store and I got a turkey blanket and turkey pajamas. I had a Thanksiving book. I read it and my mom hung up a fake turkey on the front door. When you press the turkey’s foot it sings. Enjoy Thanksgiving. I ask my mom if next Thanksgiving will be just the same as today. I hope it will be. I love Thanksgiving because we eat cranberry cakes and most of all turkey. You can put stuffing in the turkey to eat. Vegetables are for Thanksgiving day. Enjoy Thanksgiving day! 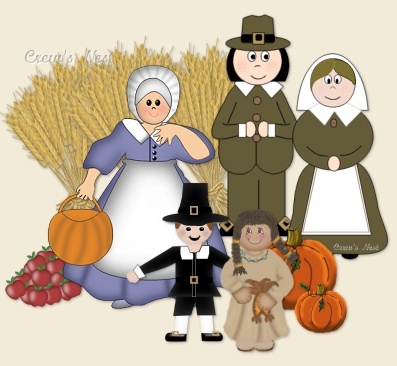 The pilgrims were the third to discover America. They did not have any food or anything to drink. They also did not know that the Indians live in North America. They became friends with the Indians and they had a feast. They had corn, turkey, sweet potatoes pie, pumpkin pie, swuash and also baked macaroni. They all sat down and celebrated Thanksgiving. Once upon a time there was a kid named Goldfish. Goldfish was a smart kid, He wanted to read a list about Thanksgiving to his family when they come from Japan. He’s thinking about it! I know I should take a walk around the street he said. So he runs upstairs gets his notepad and ran back. He walks around then he saw Ms. Broderick and wrote I’m thankful for Ms. Broderick for being good to me. He still walks around then a dog runs to his legs and he thinks. I’m thanksful for my dog spike. Goldfish’s mom called him back home. His grandma and grandpa came. Aunt Stacey and uncle Mark were there. Everyone was there. We watched Sunday night football. The Giants won then it was time for dinner. Mom had chicken, mash potatos and gravey, turkey, ham, pasta, rice and beans, teriakke chicken, apple cider, pie and cake. When they were done they must of gained 25 pounds. Then he read his list. 1. “I’m thankful for Ms. Broderick for being very nice to me. 2. I’m thankful for my dog Spike. Then he stopped to think and said 3. I’m thankful for my family, especially my mom. I’m thankful for my brother. I’m thankful for my parents because they care for me. They make food like chicken. I’m thankful for my grandma because she loves me. I’m thankful for my mom because my mom took care of me and she fed me. She put me in bed and shall love me forever. I’m also thanful for my dad because he is nice. He takes care of me too. He’s a fun guy. I’m also thankful for my sister, her name is Bianca, She’s 11. She helps me with homework and she makes me feel better when I’m down. I’m thankful for my teacher. She is nice. SHe teaches me how to write. She reads to us. I’m thankful for money so that I can buy toys. I’m thankful for a lot of things. I’, thankful for my parent, my home, my bed, and my clothes. I spend most of my time in my house. I’m thankful for my friends. When I’m good, I ‘m able to play my game. I’m thankful for my game and toys to play with. My parents cook for me, hel me with my homework, amd most importantly love me. I love my parents! I’m thankful for my mom because she loves me. She lets me play with my cousin. She lets me play video games. My dad does take me to the water park. He also takes me to the movies. My grandma bakes me cake. My favorite is chocolate cake. I am thankful for my parents. My mother is a doctor and my dad is pharmicist. I’m able to go to the best schools and get my education. If I get a pet my dad can heal it when it gets sick. When I get sick my parents are there to help me get healthy again. It’s great to have doctors as parents. They’re the best kind of parents ever. I like Thanksgiving because all my family gets together once a year. My mother, Aunt, and my Grandmother all cook in the kitchen together. My grandmother makes the ham with glazed pineapples. Now my autn Kercia makes the white rice and brown rice with beans on the side. My mother make the 20lb turkey with stuffing in it’s belly. table are all the parents. The second table is where the cousins are sitting. The last table is where the all the babies sit with 1 adult to watch over them. Everybody is grateful to be at the table as we stand holding hands.. Afterwards my aunt prays for my Unlce who passed away. Now we enjoy our feast. We laugh and enjoy our conversation. My mother and Grandmother start to clean off the tables. All of us help clean up. the mess we made. Then we all rest and relax and enjoy watching t.v. together as a whole family. I like Thanksgiving because I like spending time with my family and friends. We love to eat fresh food and we love to talk around the table. We hold hands around the table and say our Thanksgiving prayers. We Thank the people who made our food. We thank the pilgrims for starting the first Tnanksgiving. I like Thanksgiving because we have fun. I am thankful for my family and my mom, my father, my grandmother and I love to pray for my family. I love to eat stuffing. I am thankfull for my teachers and last but not least Ms. Currelley. That is a lady I love. I am thankful for my brother because when I have nothng to do I wplay with him . I love my mom, because she loves me, and gives me hugs and kisses. I am grateful for my dad because he buys me whatever I like. I am thankful for food because when I am hungry I can eat. I am also grateful to have oxygen. I am thankful for my life. I am thankful that I have my mom and dad. They love me and I love them. I am thankful for my house. I am thankdful for my house. I have a brother Jesse I am thankful for. Because I am his big brother. I help him read. I love my family. My family and my friends are special to me, On thanksgiving they are making food . Here food, my mom, is good. She cooked collard greens, mac and cheese, cornbread, fried chicken, corn and we also have yams. I am also thankful for the food I eat. I am thankful for my mom and dad. I am thankful for my mom because she loves me and plays with me. When I am good or I give her a present she feels good. She feels glad. I am thankful for my family because they love me. I am thankful for my Dad because he like to help me with my homework. I am thankful for my mom and dad Popi and grandma. I am thankful for my Uncles and aunts. I love them because they are my family. That is why I am thankful for them. My relationship with my guardians and parents is very good. They help me with my hoemwork. they teach me many things. That is why I love them and yes I am thankful for them. and I love to eat my grandma’s rice. I can’t sit in my seat. it is a great day to me. I really love my Mom’s turkey. I like Thanksgiving because I visit most of my family and I visit my friends. I give thanks to the cook and my mom and dad. On Thanksgiving my brothers and sisters sets up the table and they clean up a fter dinner. We all say thanks for this holiday. My cousin plays with me outside. My father makes a warm fire in the backyard. I was so touched by these entries – they are all so creative and inspiring. It was very difficult to decide which ones were my top three. I didn’t realize I could leave a comment AND vote. I loved the stories and poems. They made me laugh, cry and want to eat a big Thanksgiving dinner. I can’t wait for Thursday! HI my name Isaac and I wanted to say that I Loved all the storys!